105/100 When I crossed 100 in this pact I dont know. Yesterday I sat and counted and surprised that I crossed my 100 in 100sareepact. (excluding repeat) I came to that how much I am blind in love for saree. I am relaxed now and surprised too how I finished so early starting late. 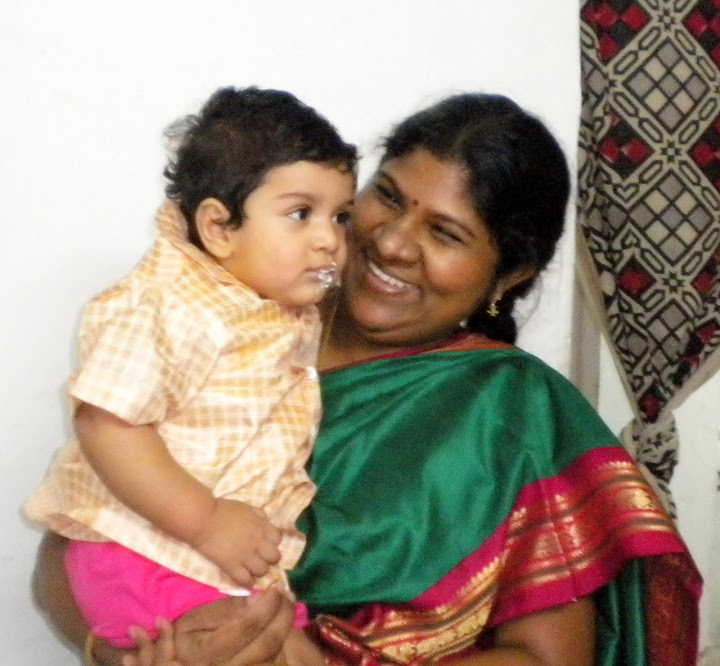 When we are in love the time passes quickly and this beautiful kanchipattu saree is the reminder of that when I celebrated his first birthday in June 3, 2010. This forty year old kanjeevaram saree which is in beautiful green with maroon border with a beautiful pallu came to me in 2009 and when I was first wearing it on Deepawali I came to know that I was pregnant, when doctors told me that i cannot conceive at all. It is the most luckiest saree for me I wear this saree with so much love and care and only very auspicious day only that is only on my son’s birthday. This beauty came to me via my MIL given to her by her sis in law in 2009. All sarees given by my MIL’s Sister in law are all luckest for me because she is such a down to earth person. 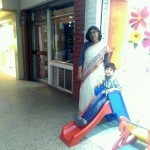 Heavy sarees I cant wear to office at home if I wear and take a snap my son will follow me. He also get ready to take a picture by wraping one of my sarees around me. So its tough for me to take pictures at home. Half of the picture taken at home before he woke up in the morning and half at office, I never bothered about my looks but always I am sure that the saree should come properly in the picture. I kept my wedding sarre to wear it on 21st December 2015 to celebrate World Saree Day. I will still continue with my remaining sarees because the love never dies. Congrats Sujata,really amazed by your saree craze,as we both started together. Love reading your straight from the heart posts Sujata. God bless. Enjoy your sarees.